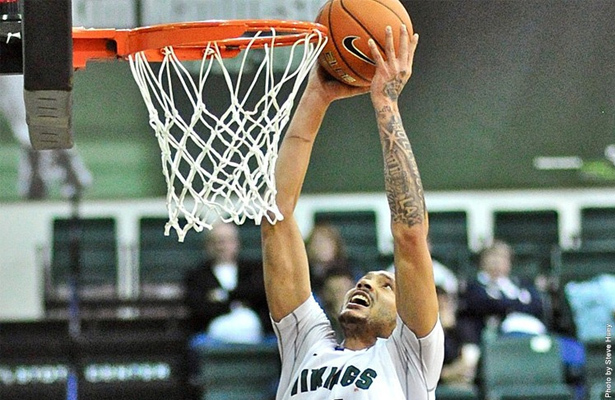 It will be a cross-town clash on Saturday night when the Portland State Vikings host the Portland Pilots in men’s basketball. Both teams bring winning records to the 51st all-time meeting for city basketball supremacy. The Vikings (4-2) and the Pilots (5-3) will tip-off in a 7:05 p.m. game at the Peter W. Stott Center. PSU is 4-0 at home this season, but comes off a 76-60 loss at Boise State last Friday. Portland has won four of its last five games – all at home – with the only loss coming in double overtime to North Texas. Saturday’s game will be available via live video stream at www.WatchBigSky.com, with live audio at www.GoViks.com. The pre-game show begins at 6:45 p.m. Tickets are available by contacting the Portland State Box Office at (503) 725-3307 or going on-line to www.GoViks.com. The University of Portland leads the all-time series which dates back to 1946, 33-17. Since Portland State reinstated its basketball program in 1996-97, the Pilots hold a 9-7 advantage. Portland State is 5-3 in home games against Portland since 1996-97. UP has won the last two meetings, with the Vikings winning four straight prior to that. The teams have one common opponent this season, UC Davis. Portland beat the Aggies, 100-83, at home. The Vikings beat the Aggies, 79-63, also at home.